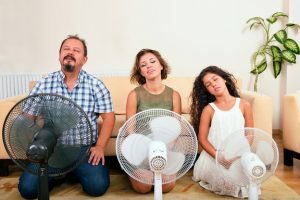 Why Won’t Your AC System Cool? During the winter, our temperatures never quite do get to a point where we need our heaters for an extensively long period of time. In fact, given a few days here and there this winter, you’ve probably still been using your air conditioner on a pretty consistent basis. So it’s only natural with all that wear and tear on the system that something may go wrong with it. One of the most frequent air conditioning repair calls we receive is in regards to a cooling system that won’t cool. Fortunately, we do offer quality San Antonio, TX air conditioning repairs. In the meantime though, we’d like to offer you a look behind the scenes to discover why this AC issue may be impacting you. Posted in Air Conditioning | Comments Off on Why Won’t Your AC System Cool? 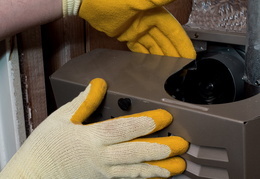 Why Is Having Your Furnace Professionally Maintained So Important? We talk about maintenance a lot, and there is a good reason for that. Maintenance is what keeps your HVAC systems functioning as well as they should. Just as you would never skip a tune-up for your car—at least we hope you wouldn’t—you should never skip out on furnace check-ups either. It’s during these annual appointments (bi-annual if you have a heat pump, although we’re discussing furnaces here) that our professional technicians fully inspect and clean your heating system. We’ll also make any necessary adjustments and recommendations for repairs so that you can schedule subsequent San Antonio, TX furnace services right away, if needed. We get a lot of calls from customers and potential customers with questions about their furnaces. But unfortunately, it’s usually when they already have a problem—one of which might have been avoided with the right preventive care. Routine maintenance allows you the peace of mind that comes with never worrying about whether or not your furnace is going to function each winter. Keep reading to learn more about the importance of this service. Posted in Our Maintenance Plan | Comments Off on Why Is Having Your Furnace Professionally Maintained So Important?